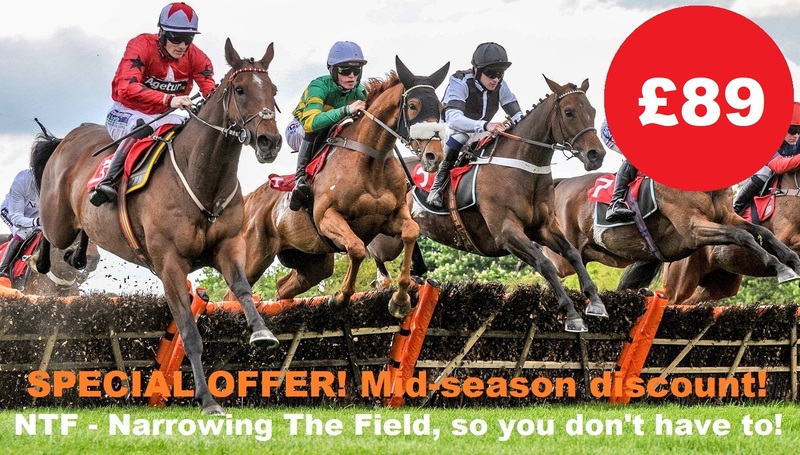 If you are the kind of punter that loves trends, lives for angles and gets excited about following horses that the wider racing population are foolishly ignoring, but simply don't have the time to do the hard graft yourself, then NTF is the service for you! Secure your season ticket to NTF today for only £89! Only £89 for a season ticket and full uninterrupted access to the NTF Members Area for the 2018/19 National Hunt season! Special offer for remainder of the 2018/19 season! *This is a discounted page for members of the FREE NTF list and NTF Facebook page. Normal price is £159 for a season ticket.